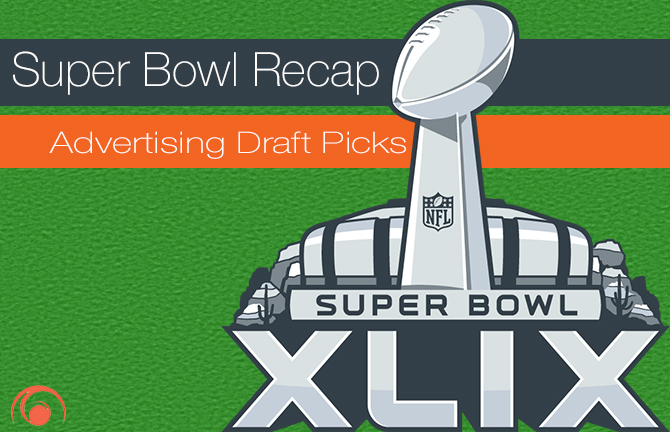 So what was so super about this year’s Super Bowl? This year – there was a huge trend focusing on Dads. Whether it be Toyota, Dove, Nissan, or even Doritos- fatherhood was a prominent theme across the biggest advertising event of the year. Celebrities really stepped up their game! There were a lot of commercials with celebrity appearances and brands used the celebs well (they must be paying them more for the better quality!). Along with movie trailers, game ads, and new technology, brands also took on serious issues like sexual assault and bullying. This year, the Super Bowl featured a lot of emotional ads rather than funny or silly ones. Dove was very strategic with this advertising campaign. Showing that you care makes you a strong person; showing that Dove cares makes them a stronger brand. Lately, Dove has been extremely innovative in their marketing by breaking down stereotypes, re-defining the ideas of real beauty and driving its products to a wider target audience. Dove is working hard to connect with consumers, and I think it’s working! Budweiser has done it again! What makes this brand so great is that it doesn’t even have to show beer to sell its product. Budweiser is iconic, and it has become an American tradition. I think that they do a good job at keeping the nation happy with their brand. Each year, people expect to see those beautiful Clydesdale horses during the Super Bowl, and Budweiser is making them even more about friendship, tradition and happiness. Iconic brands are held to iconic standards – and Budweiser has yet to disappoint. When it comes to commercials that are a little out there – this one for Mophie takes first place. While watching, you would never guess this ad was for Mophie, a device used to increase your phone’s battery life. After reviewing this commercial multiple times, I do think that it makes sense… I just think that it’s a little bizarre. From a consumer’s perspective though, it must be a good product because they had the money to create such a large scale advertisement for Super Bowl Sunday! The Discover Card commercial was surprising! I didn’t expect to laugh out loud – but it happened. Discover made a very smart move by showing off the free FICO credit score benefit you receive with its service; an awesome benefit that most companies don’t give you. A unique selling proposition AND a laugh – great work! BMW was very strategic with historical reference and casting for this advertisement. This ad is incredibly well put together, and it makes the company look great in multiple ways. Using celebrity appearances, a nod to an infamous talk show conversation and innovative technology is a triple threat. This ad had me wanting to learn more about this car and the (hopefully near) future of driving it. Coke never seems to disappoint when it comes to advertising. They constantly have successful campaigns that drive people to purchase product. In the past, they’ve targeted family, happiness, friendship, sharing and now, bullying. As with Budweiser, this iconic brand is held to a higher standard and expected to be an innovator in promoting products. With the newest campaign #MakeItHappy, they directly (and quickly) respond to negative cyber words by using coding to convert the messaging to a positive image. This campaign could be the very thing to helps someone that was feeling down or struggling with negativity in their life to feel better. Coke knows how to connect consumers to each other and to its products. This inspiring ad for No More is based on a true story. It’s a powerful representation of real issues that so many people face every day. This was the first domestic violence and sexual assault ad to air during a Super Bowl. The powerful message will hopefully drive people to take a stand and make a change in this world. No More provided a simplistic, emotional ad with a reason to advocate and take the pledge. If interested about learning more, visit nomore.org. Sure we enjoyed the game and the dramatic ending. But, let’s be honest, we really tuned in to see what commercial could outdo the next and make a lasting impression. These really hit the mark for us, but who doesn’t love a good beer or puppy for that matter? !